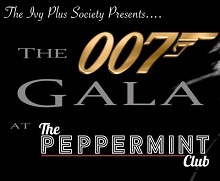 The Ivy Plus Society (TIPS) invites LSE alumni and friends to join other Ivy-type business school alums to their 007 Gala in West Hollywood. TIPS: You only live twice so there’s no time to waste. Your Mission: Go back to the ’60s and revel in the world of Bond when you join us at The h.wood Group and Interscope Records’ latest hit, The Peppermint Club. Arrive in your finest formal attire to meet the brightest in West Hollywood as this intimate music lounge hits a high note. The Peppermint Club will be private for our guests from 9-11pm. We won’t stop when we’re tired, we’ll stop when we’re done.